Our Hawaiian macadamia nuts are grown in rich volcanic soil, nurtured by cool tropical breezes and watered by crystal rainfalls. Each hand selected nut is dry roasted to perfection capturing its creamy, light taste and hand dipped in a special blend of chocolates to create a unique, handmade quality. This darker, richer blend of milk chocolate heightens and compliments the creamy macadamia nuts. 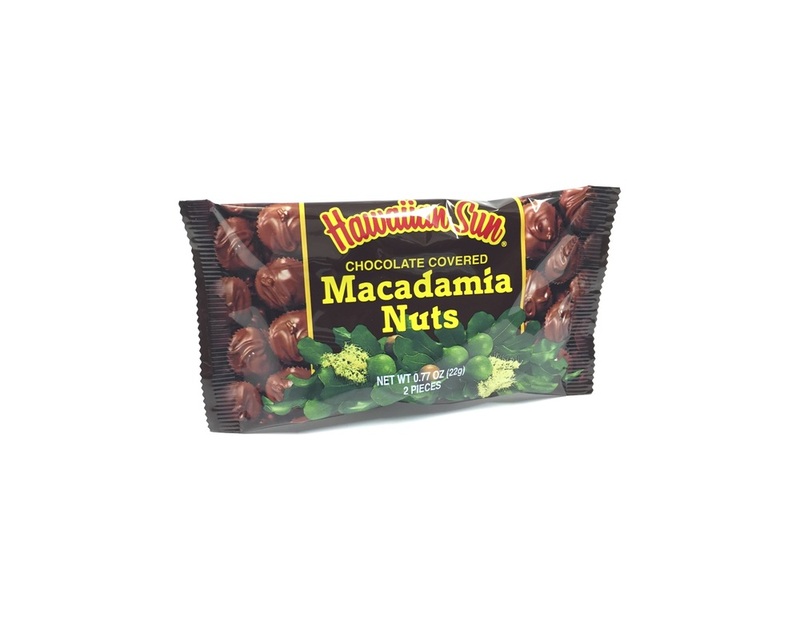 We offer a variety of chocolate covered macadamia nut flavors in various sizes from individual to family pack sizes perfect for traveling, at home and as gifts. Plump, whole, creamy white, dry roasted macadamia nuts deliciously hand dipped in our special blend of chocolate. Premium hand dipped chocolate candy paired with delicious, dry roasted macadamia nuts. Delicious, dry roasted whole and half macadamia nuts, dipped in our special blend of rich milk chocolate. An irresistible blend of two specialty dark chocolates paired with a whole macadamia nut. Dry roasted Hawaiian macadamia nuts hand dipped in our delicious blend of sugar free chocolate. The perfect blend of crunchy rice crisps and dry roasted premium macadamia nuts covered with our special blend of rich milk chocolate. Hand dipped chocolate candies with clusters of dry roasted delicious macadamia nuts. A creation of a rich special blend on creamy chocolate combined with delicious, buttery macadamia nut toffee.